The Bioinformatics Program at the Baker Heart and Diabetes Institute aims to build bioinformatics capacity through collaboration (internal and external), support and training. 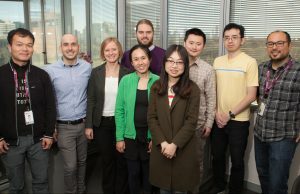 A/Prof Mike Inouye’s team, Baker Institute Bioinformatics Program. metagenomics / microbiota, and the cros-omic integration thereof. A diverse set of analytical techniques is employed, including statistical analysis, machine learning, network analysis and high-dimensional data visualisation as well as the design of computational algorithms. This enables the identification of genetic variants, genes and other biomolectular / organismal entities that differ between conditions, as well as the use of these differences to make disease predictions, infer pathogenesis and identify targets for intervention.